Learning a new language can be a challenging experience. You need to invest a great deal of time and have plenty of resources available to help you. You have the option of taking classes, using apps for smartphones and tablets, reading books, and even purchasing software. You also have the option of using one of the largest readily available tools—the Internet. The Internet is home to many websites that can help you learn a new language and provide you with the resources you need to make your experience more successful. If you are interested in learning a second language, check out the following websites. The BBC Languages website provides you with a great deal of resources to help you on your second language endeavors. You can select from over 40 languages and receive lessons and information for each one. The website provides you with both video and non-video courses as well as lessons for children. You can also sign up to receive their newsletter for more information delivered to your inbox. The site also provides you with information as to why you should learn a second language, which language you should pick and how you should go about learning it. The website is great because it’s beneficial to both beginners and expert-level students. You have the option of choosing which type of experience you have, and the site will generate lessons or resources for you based on your selection. This way, beginners are being lost with advanced resources and advanced students are not sitting through basic lessons. The site will teach you about the grammar of different languages as well as how to correctly pronounce certain words. 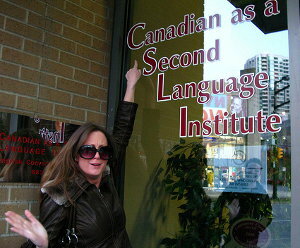 There is also a section dedicated to foreign language teachers. Babbel is another great website that contains a large number of resources for those wanting to learn a second language. The site provides information on 11 different languages, and you need to register in order to use it. Your first lesson is free, and a few of the other perks on the site are free, but if you want to access all that Babbel has to offer, you’ll need to become a paid member. Babbel uses interactive learning in order to provide you with a thorough education in an entertaining way. You start by taking a pretest, which will determine your skill level. From there, you will be assigned lessons, and through each lesson, you will receive points. Your total number of points is what determines when you move onto the next level. You also have the option of accessing Babbel through the website or by using their mobile apps. LiveMocha is another great online resource for language learning. This website will help teach you your language of choice through lessons and actual interaction with other people. Choose which language you want to learn, and then you can select courses and activities based on your experience level. Activities include reading, grammar lessons, role playing, video dialogue and writing, and you even have the option of using a private tutor. You also have the option of receiving daily text messages to help you learn a new vocabulary word every day. The site is made up of teachers and linguistic experts all across the globe to help teach others like you how to properly learn a new language. If you’re interested in learning a second language, make sure that you give these three websites a visit. You’ll gain some great knowledge from each of them, and you’ll quickly be on your way to becoming bilingual. Glovico is a new market entrant with a very special model. It pairs you with a teacher overseas via Skype while ensuring the transaction is fair trade by providing a dignified wage to your virtual teacher. I find this model particularly interesting because they offer a number of non-traditional languages. This and many other educational language articles were prepared for you by Steven Peters – a writer for Accent Pros. 4 Great Websites to Help You Learn a New Language was posted in Learning by Guest Author.